The exterior should be quilted prior to workshop. The linings need to have the interfacing fused to each one. If someone wants to use a prequilted fabric that works as well. Thread to blend with the bindings works the best. 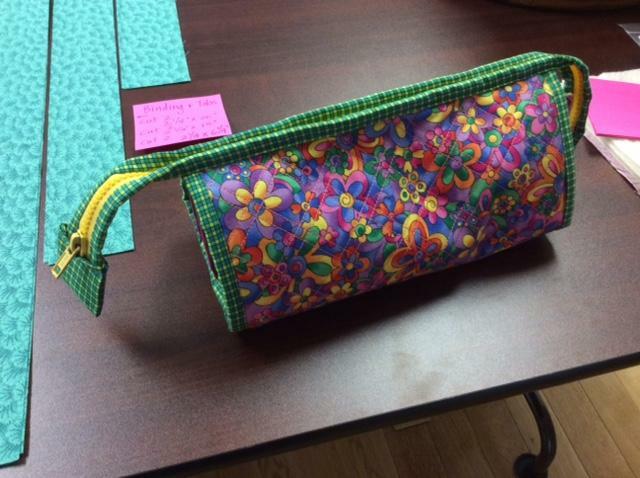 Extra needles, zipper foot and regular sewing foot, pins etc…. There is still room to get into the April Workshop. Register Now for best availability. 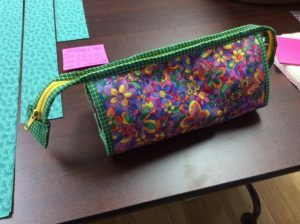 As a member of the Wiltwyck Quilters’ Guild you have first dibs on a place in this and any other workshop offered by the guild. As of April 1st the registration will open up to non-members. Get your place now and register before the 1st. The class will be a full day workshop at the Grace Church, from 9:30 – 4:00. There will be a $20 workshop fee for members, $25 for non-members. 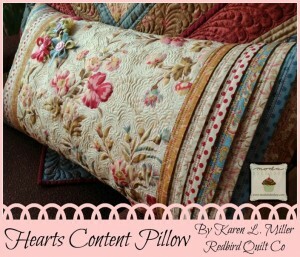 Karen Miller loves Dream Wool and suggests it for use in our April Pillow Top project. 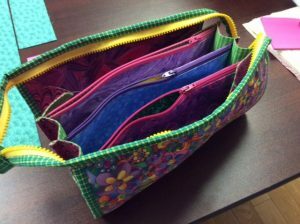 Thanks to the efforts of Marie G. Quilters Dream will be providing 4 throw-size batting packs which can be cut up to provide enough of the 16” x 30” piece of batting needed for the project for everyone taking the class. In addition, they are sending sample cards for all the Guild members and some door prizes! How wonderful is that? We are delighted to host Kerry Burke at our Guild Meeting on May 21, 2016 where she will conduct a lecture and trunk show in the morning. Supply Lists to be available soon. On Sunday May 22, 2016, at the Town of Ulster Senior Center, Kerry will teach the following class. Is there anything more beautiful than a basket filled with flowers? 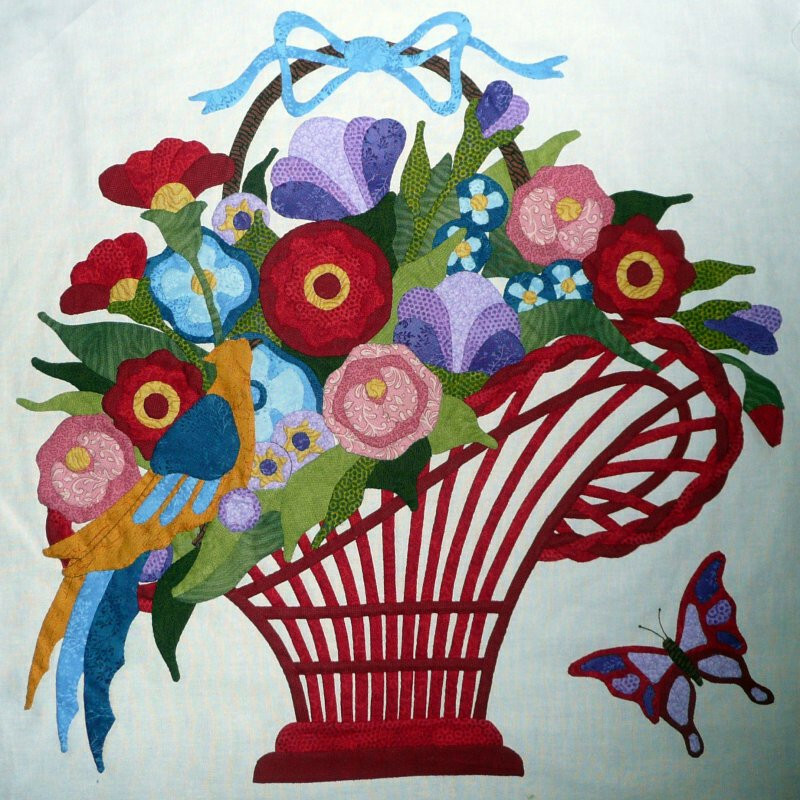 In this workshop, you will learn everything needed to make this lovely 15-inch block: prepared-edge applique, layering, marking, off-unit applique, perfect circles, folded flowers and leaves, and bias stems for the braided basket. Kits (optional) are available for $40.00. Patterns (necessary) are $9.00. Supply lists will be coming out soon. National Quilting Day is also our March Guild meeting! Toilet paper; dish soap; SOS pads; paper towels; facial tissue; napkins; sandwich bags; coffee filters; laundry soap; all-purpose cleaner; hand & body soap/lotion; shampoo; toothpaste; dental floss; toothbrushes; sun screen; deodorant. Non-perisable foods are also needed. 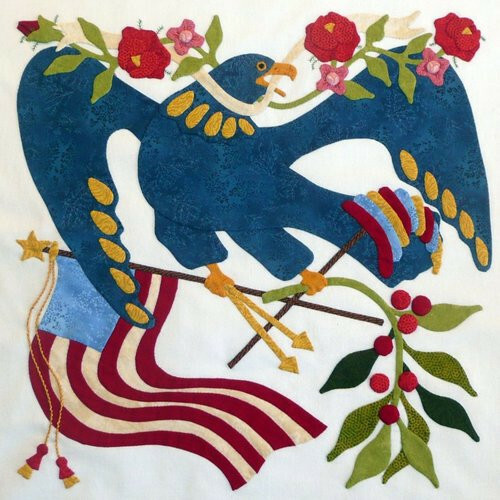 The Franklin D. Roosevelt Presidential Library and Museum is pleased to present an author talk and book signing with Sue Reich, author of Quilts Presidential and Patriotic. The program will be held at 2:00 pm on Saturday, February 13, 2016 in the Henry A. Wallace Center at the FDR Presidential Library and Home. Following the presentation, Reich will be available to sign copies of her book. For more info for this other publics events at the DR Wallace Center: www.fdrlibrary.marist.edu/publicprograms/calendar.html. Quilter and author Kyra Hicks will give a presentation on the links between African American history and quilting. “Amazing African American Quilt History as Prelude”, on Tuesday, February 16th at 5:30pm, in Taylor Hall, Room 203 at Vassar College. This event is free and open to the public. For more info and directions, please check the website at http://info.vassar.edu/news/2015-2016/160216-kyra-hicks.html. The Gardiner Library is holding it’s sixth annual Fabric, Yarns, and Craft Supplies Sale on Saturday, February 6th from 10am to 1pm in the library community room. Items for sale include fabric at $1 and $2 per yard, deeply discounted yarn, craft supplies, handicraft kits, sewing, knitting, and crochet notions. There is also a large quantity of basket making supplies, a kit to make a fifty state quilt, brand new white tee shirts for crafting, a plush hand-hooked rug, and several working sewing machines. Free patterns and information on websites with ideas for crafters will be available at the sale. The library is located at 133 Farmer’s Turnpke in Gardiner. For directions, or further information, call the library at 845-255-1255 or visit www.gardinerlibrary.org or the library’s facebook page. The February workshop is now posted in the calendar. You can find all the information about the Daisy Pin Cushion, Wool Appliqué class by clicking on the February 20th link in the calendar or click here. Kit Available for $20 (optional): includes pattern, wool, sheet of fusible interfacing, needles and backing fabric. The only thing that it does not include is thread since so many of us have a lot of that handy. Lisa will have some with her just in case someone does not. If no kit, will need to purchase the pattern from Lisa for $6.00. Supply list to follow. 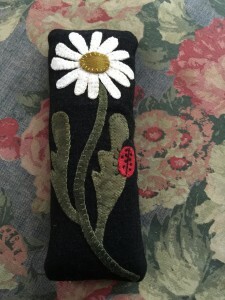 Required Pattern: Daisy Pincushion by Primitive Gatherings. $6.00 ~ available from Lisa on day of class. PLEASE DO NOT COPY PATTERNS. Lisa Fagan will have pearl cotton and bags of the ground walnut shells for stuffing the pincushion available for sale at the class. Please direct any pre-class questions to Marie Girard who will get answers to your questions from Lisa Fagan, Log Cabin Fabrics. The trunk show was fabulous and the workshop was lots of fun. Here are some gorgeous pictures.